Pope Bartholomew, the Archbishop of Constantinople and leader of the idolatrous cult of Eastern Orthodoxy. When 21 Egyptians were beheaded by ISIS, we reminded American evangelical leaders that while their deaths should be mourned, Coptic believers are not Christians. They are, in fact, Eastern Orthodox idolaters who are even further removed from authentic Christianity than Roman Catholics. Rod Dreher, who for some unknown reason has been embraced by evangelicals like Albert Mohler, took great exception with our post and we took a lot of heat for pointing out the obviousness of basic Protestantism; there is not salvation outside of belief in Sola Fide. Last week, we brought to you news that the Roman Catholic Bishop of Rome was unhappy that President Donald J. Trump recognized Jerusalem as the capital city of Jerusalem. This week, idolaters of the Eastern variety demonstrated that they are equally unpleased. Given that Egypt has millennia-old hostilities to Jews and formerly enslaved them for four hundred years, ending in about 1500 B.C., and given that Egypt spearheaded the 6 Day War and the doomed assault against the nation of Israel, it probably should not come as a surprise that its “Christian” citizens are as anti-Semitic as its Muslim citizens. Clearly, there’s some bad blood since the time Pharaoh ordered the Egyptian midwives to murder Hebrew babies. They appear to not have yet let go of the grudge. Maybe that’s an oversimplification. Nonetheless, the Coptic Church is not happy. News agencies report, “The Coptic Pope’s refusal to host Pence is largely symbolic but significant, because it demonstrates the Arab solidarity for Palestinians irrespective of religious affiliations.” It followed the lead of Islamic cleric, Ahmed al-Tayeb’s decision to meet with Pence. It seems Islam’s leaders in Egypt are leading the Eastern Orthodox on a leash. 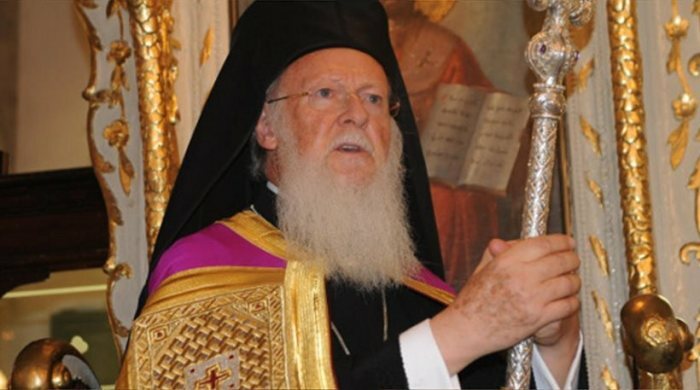 For more on why Eastern Orthodoxy is not Christianity, click here. Will Alex Malarkey get shouted down by Floyd at the SBC?